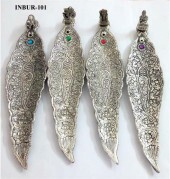 We hold expertise in manufacturing, supplying and exporting Decorative Gifts Products from Delhi, India. Our Decorative Gifts Products are available in different designs and patterns for addressing variegated demands of buyers. Made from the finest materials, ourDecorative Gifts Products are preferred all over the world for their high quality paper and smooth writing pages. Customers can obtain Decorative Gifts Products from us at most nominal rates.